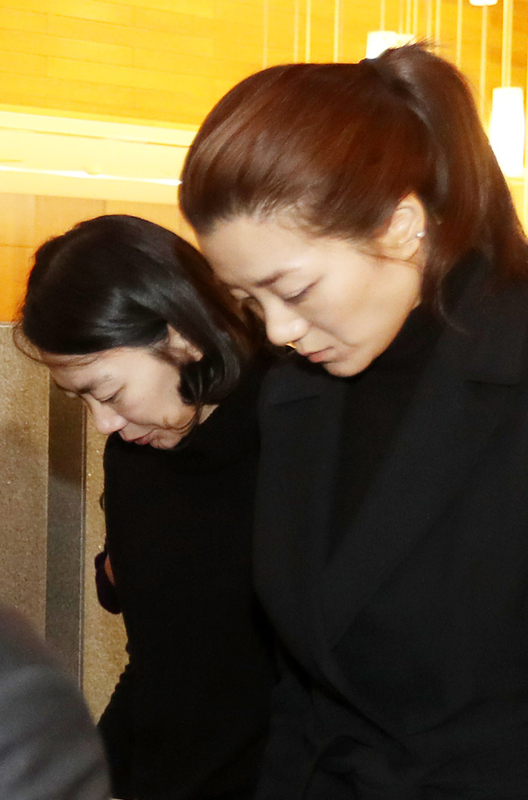 Police said Monday they called in officials of an adverting company to check allegations that a daughter of Korean Air Lines Co.'s chief insulted one of their colleagues during a business meeting. The Seoul Gangseo Police Station was questioning some of the eight officials of the ad firm as reference witnesses to cross-check arguments from both sides, officials said. Police have launched a preliminary investigation into allegations that Cho Hyun-min, a senior executive at South Korea's major air carrier and the younger daughter of the chairman, insulted the ad firm manager in a meeting last month because he did not answer her questions properly. She is accused of yelling at the manager and throwing a cup of water in his face. Cho, who had been overseas, returned home Sunday amid the mounting scandal. Later that day, she sent an email to all Korean Air employees to apologize for the incident, saying she will take all criticism to heart. Cho has denied she threw the cup and insists she only pushed him. Police said they will decide whether to pursue the case as a formal probe after they gather all possible statements from those who were present at the scene as well as others with knowledge of the incident.